We are pleased to announce that the world-renowned photographer Robert Polidori—two-time winner of the prestigious Alfred Eisenstaedt Award for Magazine Photography and staff photographer at The New Yorker Magazine—will have his first solo exhibition in Hong Kong. 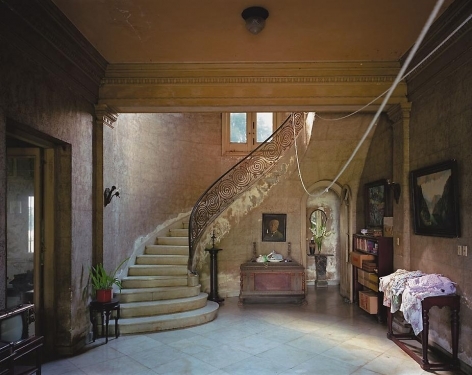 Polidori’s moody photographs of interiors altered by the passage of time and the people who have lived in them have garnered him widespread acclaim. 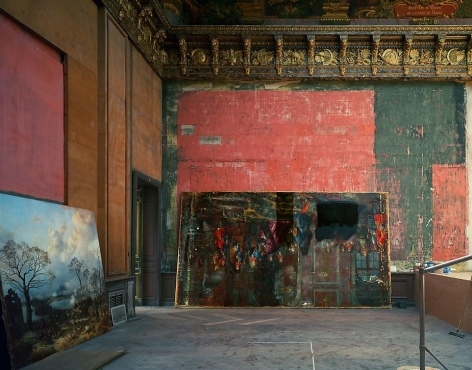 His series on New Orleans after Hurricane Katrina at the Metropolitan Museum in New York (2006) was one of the museum’s most popular photography shows in its 141-year history. 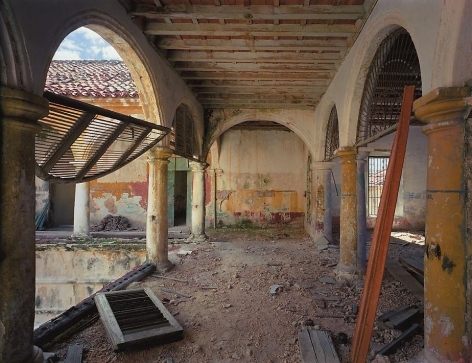 His Hong Kong show, titled Ars Memorativa (the art of memory), features large-scale color photographs capturing the comprehensive restoration of the Palace de Versailles in France, the decaying mansions in the formerly splendid metropolis of Havana in Fidel Castro’s Cuba, and the colonial architecture of Goa, India. 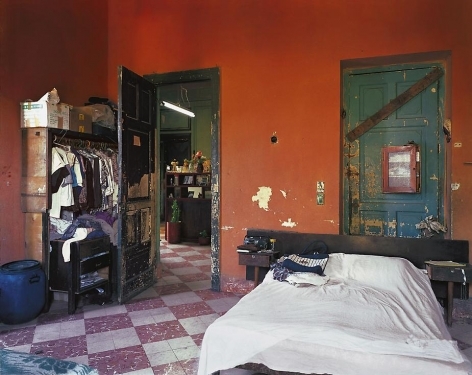 Robert Polidori has shot all over the world: in apartments on New York’s Lower East Side, shortly after their tenants had died; in Beirut’s courtyards showing traces of war; the devastation after the Chernobyl disaster; and urban dwellings in China and Dubai among other countries. In 2006, he was commissioned by the Metropolitan Museum of Art in New York to photograph New Orleans in the wake of Katrina. 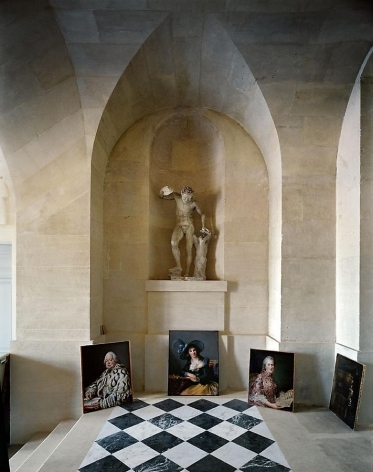 Polidori’s career as a fine-art photographer began in the early 1980s when he gained permission to document the restoration of the Palace of Versailles. 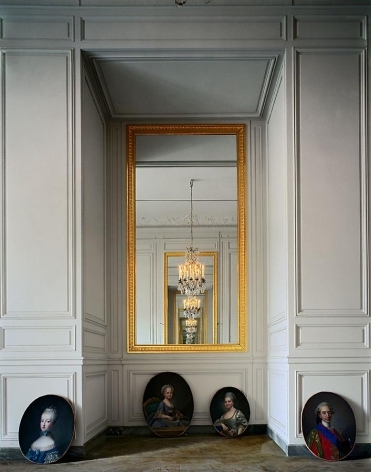 Since then, he has returned to the palace several times to take more pictures, and in every one of his pieces, his conception of rooms as metaphors and vessels of memory is evident. 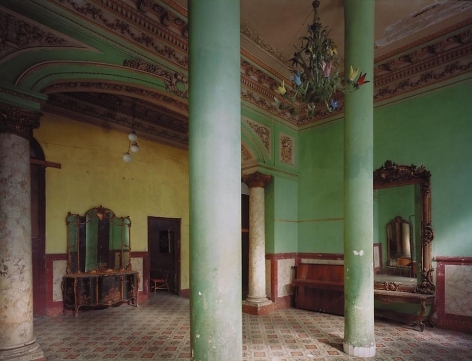 To Polidori, rooms are “the exteriorization of the soul life or of personal values,” and his photographs are investigations into the psychological implications of the human habitat. From a technical point of view, his interior images are produced by means of a single long exposure in natural lighting. His tonally rich and seductive photographs are the product of a view camera, long hours waiting for the right light, and careful contemplation of the camera angle. 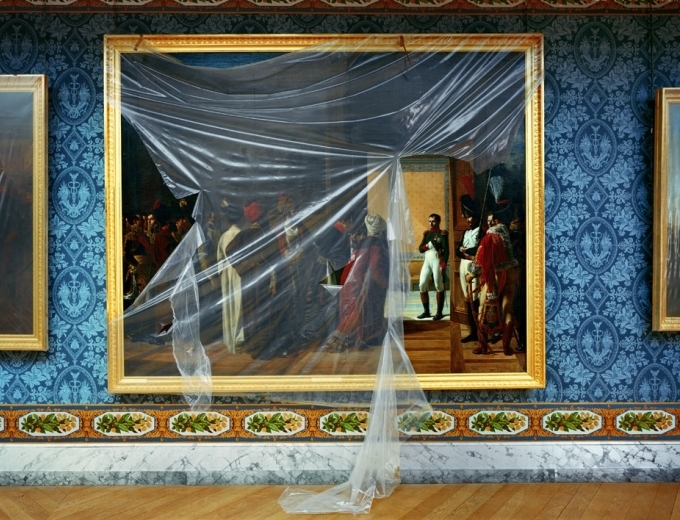 Polidori uses large-format sheet film, which he believes produces superior images to digital photography. 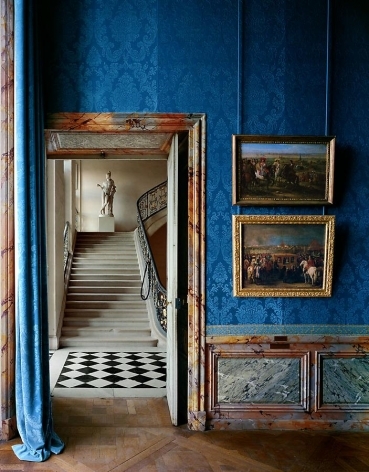 Robert Polidori was born in Canada and became an American citizen in 2009. He began working for Jonas Mekas at the Anthology Film Archive in New York in the 1970s before he wandered away from cinema and took on photography as his preferred medium. He received his MA from the State University of New York at Buffalo in 1980 and lives in New York City where he is currently a staff photographer for The New Yorker. He won the World Press Award in 1998 and the Alfred Eisenstaedt Award for Magazine Photography in 1999 and 2000. 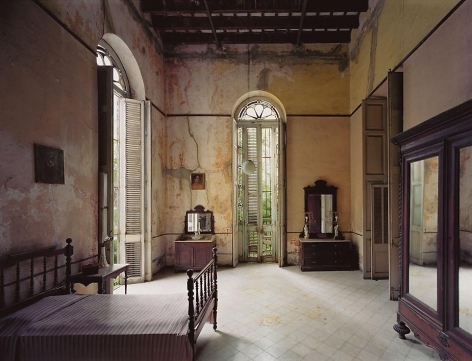 He has published eleven books of photographs including: Parcours Muséologique Revisité (2009), Havana (2001), Zones of Exclusion Pripyat and Chernobyl (2003), Robert Polidori’s Metropolis (2004), After the Flood, an account of New Orleans in the wake of Hurricane Katrina (2006), and his newest book, Points Between…Up Till Now (2010). 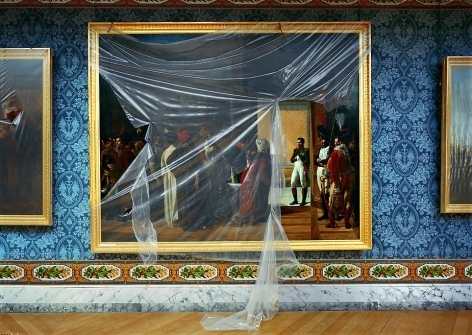 A mid-career retrospective of his work was held at the Musée d’art contemporain de Montréal in 2009. Polidori’s work is in the collections of the Metropolitan Museum of Art, New York; the Museum of Modern Art, New York; the Victoria and Albert Museum, London; and the Bibliothèque Nationale, Paris.